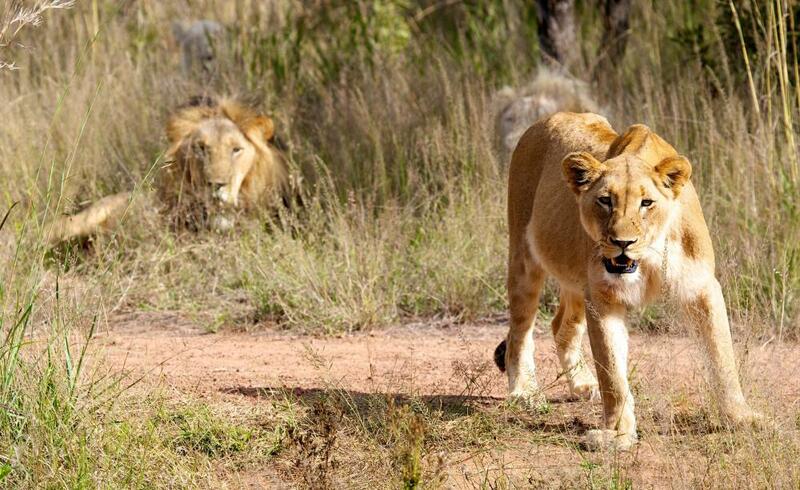 Lions are a predator to elephants. Elephants need a large habitat area in order to find their daily amount of food, which is massive. The term elephant conservation refers to ongoing international efforts to shore up the wild populations of African and Asian elephants endangered by human poaching. Humans are said to be the only significant predatory threat for healthy adult elephants. Local residents have sometimes engaged in destruction of individuals or herds that encroach on their settlements or farmland. Efforts at elephant conservation include research to determine current behaviors of elephants in certain areas as well as census counts of individual elephants to monitor the number of surviving wild elephants. Workers in elephant conservation also encourage local residents to protect elephants rather than contributing to the destruction of wild herds. Ivory trading and overhunting have traditionally threatened the existence of elephants in the wild. Some elephant species continue to be endangered by poaching and ivory sales. At the turn of the 21st century, the major issue in elephant conservation was the limit on available land for the natural roaming behaviors of elephants. All elephants need a large ranging habitat due to their daily intake of massive amounts of food. An adult elephant can eat between 150 and 660 pounds (68-300 kg) of vegetation per day, equivalent to about 5 percent of the elephant's own body weight. Elephant conservation is a priority to environmental groups because elephants are considered important species for maintaining biodiversity in many ecosystems. For example, elephants naturally create gaps in the canopies of tropical forests, resulting in the regeneration of some tree species. In addition, some types of plants have developed elephant-dependent seed systems, relying on these creatures to pass the seeds through their digestive tracts in order for the seeds to germinate. By some estimates, one-third of the trees in some African forests are dependent on elephants for seed distribution. Asian elephants, also known by the scientific name Elephas maximus, can live up to 65 years in the wild. Their main predators are lions and tigers. African elephants typically live around 50 years, with few natural predators other than humans. Lions and hyenas have been known to attack young or weak elephants. The African elephant, or Loxodonta africana, is among the largest land-based animals on earth. Male elephants can become as tall as 14 feet (4.2 m) and weigh up to 7 tons (more than 6,350 kg). Females can begin reproducing at around 10 years old and have a gestation period of about 22 months. Elephants live in social communities based around the females. 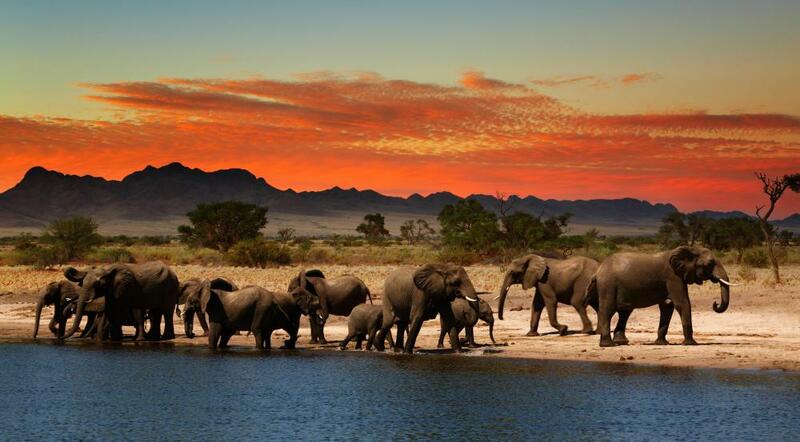 A matriarch guides a family of between nine and 11 related elephants, including females and immature males. When males become fully mature, they leave the herd and roam alone. As social creatures, elephants display a variety of gestures such as intertwining trunks. These creatures appear to show concern for injured or weakened members of their clans. Elephants have been observed to demonstrate what seem to be grief behaviors when a clan member dies. What Happens When Elephants Become Intoxicated? What Are the Elephant's Closest Living Relatives? What Are the Different Types of Elephant Decor? What are the Different Endangered African Animals? What are Some Species Endemic to Indonesia? @bythewell - That's why one of the best ways to ensure that any animal, but particularly large and potentially dangerous animals like elephants, are protected is to involve the local people in their care and ensure that there is a mutually beneficial relationship going on. This is often done through tourism. If the locals can see that people are coming to watch the elephants and are spending money when they come, then they are going to be much more enthusiastic about conserving habitat. This might sound like a very cynical approach, but often the people who live around elephants are only barely surviving themselves and asking them to turn away the chance to feed their families with a quick kill is never going to work. Giving them a method of feeding their families that jives with the mission to save the elephants is the best solution for everyone. @Ana1234 - Not that I think it's right either, but it's not like the world has completely conquered its tendency to kill people either. There are a lot of starving children in the world and a lot of people dying from preventable diseases. That's not even mentioning the ones who are being killed by war. Elephants are wonderful creatures, and I don't want them to go extinct. But I don't think the right rallying cry is to try and convince people that they are so smart that they deserve to live. We don't really seem to care about that argument. Elephants seem to be one of the few species that has a lot of emotional traits similar to humans, including grieving for the dead. While they don't quite have elephant graveyards the way they do in myth, they will often remember the site where a relative died even years later and will show signs of sadness if they happen to go nearby. I just don't think animals that have this level of sophistication should be slaughtered. It isn't all that different from killing people.